There are tons of instances in your everyday lives wherein you are required to give small pieces of information about yourself. In writing a check to pay for your groceries, in applying for a membership in the nearby gym, in changing your phone plans, or even in using your credit card to pay for a flight online, you willingly give out important information about yourself. In these kinds of transaction, you will always be required to give your full name, and sometimes, your address, phone numbers, bank account, and even your social security number (SSN). However, sometimes, the information that you share, even as a requirement for a transaction, can be used without your knowledge. Identity theft is the illegal use of another person’s private information. This is usually done for financial gain. Any identity thief can easily use all your information to do illegal acts such as fraud or theft. Once a thief has gained access to your personal information, the sky is the limit in what they can do with it. They can use your credit card to pay for any of their transactions and even take out loans under your name. Identity theft is a very serious crime. If you unfortunately become a victim, you can spend an awful lot of time and money cleaning after the thief who stole your identity. You can lose a lot of opportunities such as loans and even jobs. Arrests for crimes you never committed are possible. Unfortunately, you cannot fully prevent yourself from being a victim of an identity theft. However, taking good care in sharing any of your valuable information can help minimize the risk. Monitor all your incoming mail. Identity thieves can change your billing address and send your bills to the new one. If you are missing some mail, this could mean that your personal information has been stolen. Always check your bank accounts. See if you have withdrawals or payments made using your account that you do not remember doing. Be vigilant of calls from banks, companies or debt collectors. Take note of all the important transactions that you do, especially if they involve large amounts of money. Put passwords on anything that has of your personal information. Secure your credit and debit cards and bank accounts. Use passwords that are not related to your name, birthday, or anything that can easily be guessed. Keep important information private, even inside your house. Keep your personal belongings in a hidden space especially if you have roommates living with you or you have workers coming in and out of your house. Never give any of your personal information online, on the phone, or through the mail. Identity thieves are experts in pretending that they are representatives of different companies. Put your SSN card in a secure place. Do not carry it around with you. It can easily get stolen along with your wallet. Additionally, if you find out that any of your cards has been missing, report it to the proper authorities immediately. 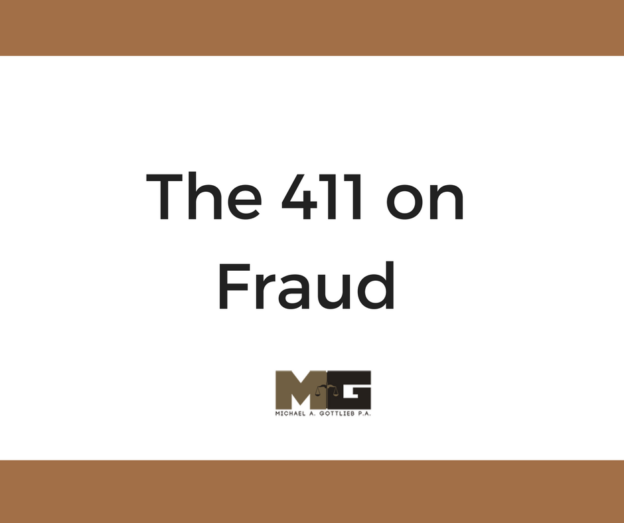 When you fall as a victim to fraud, it is important to know exactly what to do next to prevent the circumstance from getting worse. Contact a trusted legal advisor to help you deal with this matter as soon as possible. Michael Gottlieb can be your Broward fraud attorney.